In Him... : Is God Good? I just got off the phone with a man who, next to Jesus, has probably influenced my life and ministry more than any other. Well, okay, sure the Apostle Paul and other writers of the bible influenced me greatly too, but this man has been like an “Apostle Paul” in my life. (I just hope that I have been like a “Timothy” to him). Anyway, we were discussing the goodness of God, and how it seems, that the church has not grasped how good God really is. Years ago my friend asked me a question, “Is God really better than we have believed?” I believe He is. When I see Christians portrayed on television, movies or in the press, generally, it is not necessarily in a good light. A large bit of the images in media and entertainment about believers has been in the light of us being judgmental; full of hypocrisy and hatred and bigotry; or it has often the exposure of the failures of our leaders. Although I’m sure we can find a few negative portrayals here and there over the years, most of the expressions and portrayals of the Lord Jesus Christ are positive. Is it because Jesus is seen as loving and non-judgmental, and for the most part the church is not? I think that is a part of the dilemma I see in reaching out to non-believers. 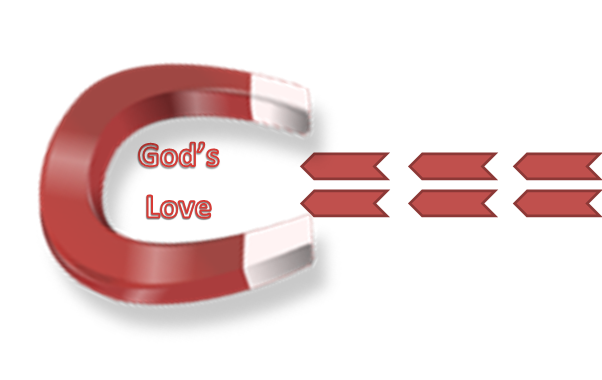 Most of them I come in contact with (at least here in the States) have heard some expression of Christianity that was not loving and “attractive.” “Attractive,” that is, in the sense of a magnet attracting metallic objects. Often, we repel people by what we say or do. Instead of participating with the Holy Spirit as He draws people like moths to a flame, sadly, we have sometimes been like blowtorches burning everything and everyone with our attitudes and indifferences. Unbelievers tend to come away with a sense that we have it all together (and they don’t, and won’t be able to ever measure up). Of course, we’re not always too keen on sharing our own struggles with our brothers and sisters in Christ; much less with our non-believing friends. By the way, I sincerely hope you still have non-believing friends. I remember hearing a statistic years ago that the average convert to Christ has no unbelieving friends within eight months of conversion. We tend to surround ourselves with people who are like us and agree with us. In Christian circles, we then have our own language, “Christianese,” that is unintelligible to outsiders. But the people followed Him, they invited Him into their homes – and He went. He was not ashamed or afraid of what people might think of Him “hanging out” with the non-rich, and not so powerful. He loved them, and was a friend of sinners. Jesus Christ came as the manifestation and demonstration of God's love to the world. In other words, the whole time of Jesus’ earthly ministry, he did not hold anyone’s sins against them. If God did not hold anyone’s sins against them, why do we? Doesn’t that verse say that He has given us the same word of reconciliation? We are ambassadors of love and reconciliation, not ambassadors of judgment and condemnation. If God did not hold my sins against me (and He didn’t, and hasn’t), then I am challenged to not hold other people’s sins again them. I am to love the unlovely and to reach out to those I may not like or agree with. I may differ with someone’s lifestyle or choices, but I am compelled to love them in Jesus. I believe that God is much, much better than we have expressed Him to others. He is much, much better than we have believed, and I believe He is daring us to love in His name.